This debut literary thriller fiction novel by Nicholas Searle really is told back to front. A career conman, Roy, seems to have flitted through life moving from Mark to mark. He’s experienced, instinctual and self-assured, but as he ages he decides to pull off one more job, which leads him to meet the charming Betty. As he woos her into position, he remains unaware that there’s more to Betty than he bargained for. I must say when I started reading this book I did find it incredibly dull until I got about half way through and fell into the routine of the flashbacks of Roy’s life. I look back in hindsight and feel my dislike of the opening chapters may very well mirror my dislike of Roy as a character, but in the good literary sense I’m supposed to dislike him. Each flashback of Roy’s life predated the last, which was a clever and effective way of unravelling this haunting story, back to front as advertised. 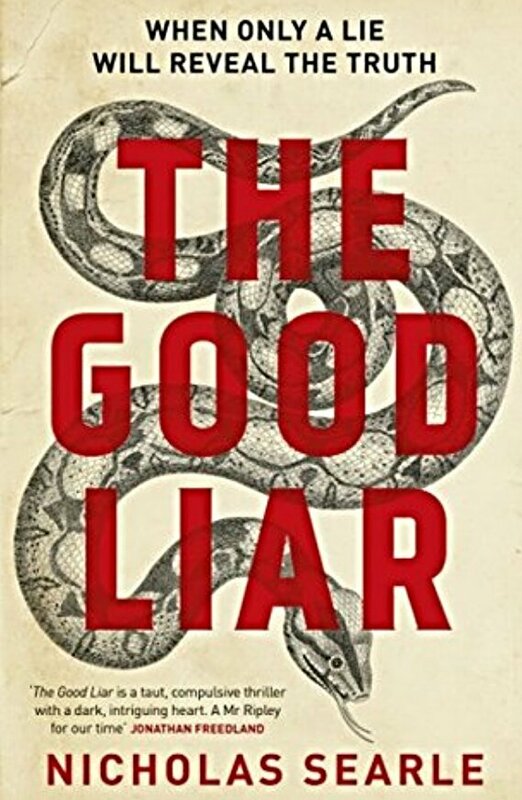 As sedate as this book may feel to begin with, the twist that ensues is alarming and more than makes up for the unremarkable beginning of the book. I had to work for my slowly growing enjoyment of this book, but it was well worth it in the end. This book is available to request from Netgalley and on pre-order from Amazon, it will be released on 31st December 2015.